Six weeks ago, a two-man delegation arrived in secret in Damascus: civilians from Aleppo who represented elements of the Free Syrian Army, the rebel group largely composed of fighters who deserted the regime’s army in the first year of the war. They came under a guarantee of safety, and met, so I am told, a senior official on the staff of President Bashar al-Assad. 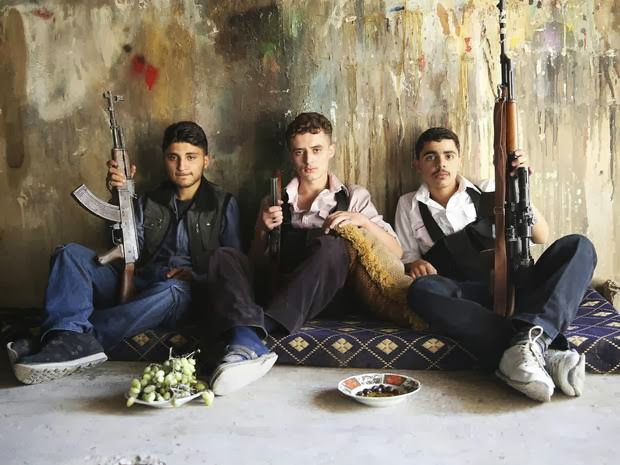 And they carried with them an extraordinary initiative – that there might be talks between the government and FSA officers who “believed in a Syrian solution” to the war. The delegation made four points: that there must be an “internal Syrian dialogue”; that private and public properties must be maintained; that there must be an end to – and condemnation of – civil, sectarian, ethnic strife; and that all must work for a democratic Syria where the supremacy of law would be dominant. There was no demand – at least at this stage – for Assad’s departure. The reply apparently came promptly. There should indeed be “a dialogue within the Syrian homeland”; no preconditions for the dialogue; and a presidential guarantee of safety for any FSA men participating. And now, it seems, another remarkable development is under way: in seven rebel-held areas of Aleppo, most of them under the control of the FSA, civil employees can return to work in their offices, and government institutions and schools can reopen. Students who have become militiamen over the past two years will be disarmed and return to their classrooms. Some members of the FSA have formed what they call the “National Union for Saving Syria”, although members of the political opposition in areas outside government control disrupted meetings by condemning the government army and, according to those involved in the “Union”, making sectarian comments and condemning Shiites and Iran. Last week there were several defections of FSA units to the al-Qa’ida-linked al-Nusra Front, which has complicated matters still further. If the FSA is prepared to talk to the regime, how many are now left to take part in future agreements between the two sides? For months now, pro-regime officials have explored how they might win the army defectors back to their side – and the growth of al-Nusra and other Islamist groups has certainly disillusioned many thousands of FSA men who feel that their own revolution against the government has been stolen from them. And in areas of Homs province, it is a fact that fighting between the FSA and the army has virtually ceased. In some government-held villages and towns the FSA are already present without being molested. And the advantages to Assad are clear. If FSA men could be persuaded to return to the ranks of the regime’s army in complete safety, large areas of rebel-held territory would return to government control without a shot being fired. An army reinforced by its one-time deserters could then be turned against al-Nusra and its al-Qa’ida affiliates in the name of national unity. The Islamist fighters in the Syrian opposition are certainly a source of deep concern to everyone involved in the war – not least, of course, the Americans, who continue to dither over whether they should give weapons to the rebels. Had the US administration followed John McCain’s advice, for example, some of the arms that might have been given to the FSA would already be in the hands of al-Nusra now that three units within the FSA have gone across to the Islamists.The Islamist fighters in Syria are meanwhile turning into a serious threat to the very existence of the country’s Christians. Bishops and patriarchs from across the region met in Beirut last Friday to lament the exodus of the Christians of the Middle East; Catholic Maronite Cardinal Bechara Rai of Lebanon described how for Christians, “the ‘Arab Spring’ had turned to winter, to iron and fire”. The prelates were particularly upset at the massive damage to churches in Raqqa – now under the control of the al-Nusra group – and at the al-Nusra attack on Maaloula. I saw myself last week how perverse was this assault on the largely Christian Syrian town north of Damascus. In Christian homes, crucifixes had been smashed, but the al-Nusra invaders seemed to take a perverse pleasure in wrecking their homes. In one basement flat they had emptied the fridge of food and stuffed it full of shoes. Now that’s something to bend your mind! A 20-strong international team of engineers, chemists and paramedics leave the Netherlands for Syria on Monday to embark on the most hazardous mission in the history of disarmament: to dismantle one of the world's biggest chemical weapons arsenals, during a civil war, under extreme deadline pressure. In 35C heat inspectors from the international Organisation for the Prohibition of Chemical Weapons (OPCW) will, at times, wear body armour and helmets over their chemical protection suits, sometimes carrying air tanks on their backs, in their efforts to abide by a UN security council resolution to destroy about 1,000 tonnes of nerve agents such as sarin and other poisonous gases such as sulphur mustard. 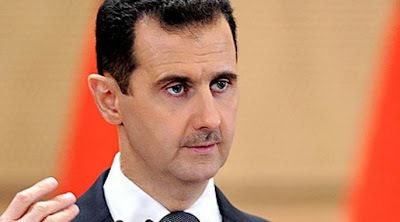 Syria's President Bashar al-Assad vowed to co-operate with the mission in an interview with Italy's RAI News 24 TV. "Of course we have to comply [with the UN resolution]. This is our history to comply with every treaty we sign," he said. The inspectors are due to arrive in Damascus on Tuesday. They will need to work quickly to meet the tight deadlines agreed by the security council on Friday. In the first few days, a group of 20 inspectors drawn from about a dozen countries will have to fill the gaps in Syria's initial disclosure of its inventory of poison gases, nerve agents, delivery systems and production sites and fine tune the logistics for visiting the declared sites. At that point, some of the documentation and political liaison specialists in the team will leave, and other experts will arrive, including chemical engineers, analytical chemists and medical specialists in case of accidental contamination. Within days the reinforced contingent will be split into field teams that will fan out to the declared weapons sites and laboratories. The inspectors will not say how many locations are involved as the Syrian declaration was confidential, but it is believed there are about 25 on the list. Their first priority will be the locations where the weapons are produced. Under the UN resolution, all chemical production and mixing plants, as well as equipment used for filling rockets and shells with nerve agents or sulphur mustard gas, must be destroyed by 1 November, so as to crush the heart of the programme as quickly as possible. But to get the job done in time, the Syrians – with international oversight – will have to use some rough and ready methods. "We could fill reactors with concrete, perhaps, or they could smash them up if they're particularly delicate – if they're glass-lined reactors for example. 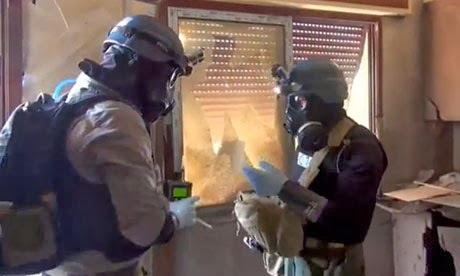 Or equipment can be destroyed with explosives or by having a tank drive over it," said one senior OPCW official involved in the planning of the operation. The official stressed that everything would be done in partnership with Syrian technicians: "We'll identify, in conjunction with our Syrian colleagues, critical pieces of equipment and then invite them to destroy them," he said. "The whole process will be conducted in a collaborative manner. It's not as if we turn up and point at something and say: blow that up; drive that over that equipment; fill that with concrete." He said that the Syrian government had co-operated so far: the organisation submitted its initial list of inspectors to Damascus on Friday and got approval the next day, with no objections to any team members on the basis of nationality. "We have already seen from dealings with them there is a willingness and an engagement to do this," the official said. "They have made a strategic decision." The provisional plan is to concentrate the Syrian arsenal in a couple of major sites where mobile chemical neutralisation plants and incinerators can be used to destroy it. Russian and US intelligence analysts have said that much of the stockpile is in the form of precursor chemicals, or chemical ingredients, which are easier and quicker to destroy than pre-mixed and weaponised chemical weapons. The deadline for destroying the whole arsenal has been set at mid-2014. Whether or not this is feasible or not will depend on the ebb and flow of the war, analysts say. The Syrian government has reportedly consolidated its chemical weapons in roughly two dozen sites to stop them falling into the hands of rebels, but some of those sites are close to the frontlines. "The Syrian disclosure has identified a number of locations," the official said. "Some are in areas completely controlled by the Syrian government. Others are in areas that are close to confrontation lines, but some may require us having to drive through opposition territory." To cross the lines, inspectors will rely on UN officials based in Syria who have contacts with most parties in the conflict to negotiate safe passage. The same approach was taken when inspectors investigated the large-scale attack in eastern Damascus in August, which triggered a threat of US-led air strikes and ultimately the Assad regime's agreement to disarm. The method was far from fail-safe. A UN vehicle came under sniper fire as it crossed the lines, but there are no plans at present to bring in foreign troops to protect the inspectors. That would be a decision for the UN, which is playing a facilitating role for the mission. Some of the members of the initial inspection team are ex-military munitions experts who have had experience of combat zones, but the fighting across shifting frontlines adds an extra layer of danger to an already hazardous task, and another physical burden. "We will have protective suits and hand-held monitors for self-protection," the senior inspector said, adding: "Doing that kind of activity while wearing body armour and helmets is not ideal. It is really at the top end of the scale of physical burden and stress and contamination control. Wearing protective suits and body armour is physiologically pretty hard." The risks of being in or near the front line of a civil war, in 35C heat, while trying to secure toxic chemicals, will give the team no shortage of dilemmas: "At that point, we start to look into what's more hazardous: the guys going down with heat exhaustion, the guys being exposed to toxic agents or the guys being shot at," the official concluded. Labels: chemical weapons, diplomacy, Iran, Russia, Syria. The US National Security Adviser says the White House has been and is seeking to oust Syrian President Bashar al-Assad from power. “The position of the United States has been and remains very clear, and that is that Assad must go,” Susan Rice said in an interview with CNN’s Fareed Zakaria GPS about the ongoing chemical weapons negotiations with Syria. “He has inflicted horrific violence on his country that's spilled over into the region. So our strong view is that there isn't a viable future for Syria that is governed by Assad,” she added. She made the remarks in response to a question that how Washington can be partner with President Assad to destroy the country’s chemical weapons and at the same time, be trying to get rid of him. Rice added that the latest UN resolution which is aimed at destroying Syria's chemical weapons is not limited to President Assad’s government. 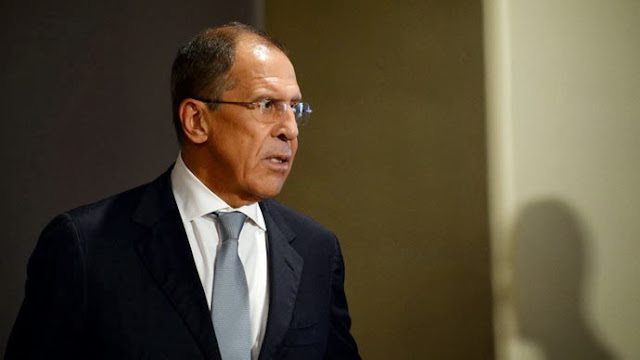 “Now, the resolution and the agreement doesn't speak about Assad as an individual, it speaks about the requirements and the obligations of the Syrian government. And that's an important distinction, that whatever Syrian government is there, near-term or in the future, will have the same obligation to implement these commitments and this resolution faithfully. So this is not specific to Assad." Rice, who is a former US Ambassador to the UN, also highlighted that the Obama administration has not taken any options off the table and is ready to unilaterally strike Syria if Damascus fails to comply with the resolution. “The president has been very clear that we remain postured to act if - if the choice is - is taken by him and if the necessity arises. We're not taking any options off the table. And the president has been very clear that as commander-in-chief he has the authority to act in the interests of the United States and to use force if necessary,” she said. This as the resolution does not threaten automatic punitive action against the Arab state if Damascus does not meet its terms. A review of the risk posed by tsunami has found parts of New Zealand could be struck by waves 50% bigger than previously thought. It also says they could strike before official warnings were issued. GNS Science says the changes to its predictions have been driven by research into the 2011 Japan tsunami, which indicates some fault lines near New Zealand could produce much larger earthquakes than previously thought. The GNS review found a powerful earthquake on one of those fault lines could result in a 15m high tsunami striking Northland and Great Barrier Island, along with parts of the East Coast of the North Island and Wairarapa. The wave could surge more than 30m above sea level on steep parts of the coast, a height comparable to the 2011 Japan tsunami. The agency also included Southland and the West Coast as areas where fault lines could produce much larger earthquakes than previously thought. On top of that, a natural hazards researcher at GNS Science, Graham Leonard, says the wave could arrive less than an hour after the earthquake which generated it, and before official warnings could be broadcast. Dr Leonard says that means people need to run for high ground as soon as they feel a strong quake. People living on the coast need to know they should run for high ground if they feel a quake strong enough that they cannot stand, or which lasts for more than a minute. Dr Leonard also says it's important people stay out of evacuation zones until they get the all clear from Civil Defence. Civil Defence says it plans to discuss the findings with local councils and reinforce messages about the risk of tsunami to the public. A plague of hornets, each the size of a human thumb, have descended on Shaanxi province this summer—at least 28 have been stung to death (link in Chinese), while another 419 have been injured, according to a local news report from China Radio Network (CRN), via the New York Times’ Chris Buckley. The death toll from hornet attacks in Ankang city is more than twice the annual average between 2002 and 2005, say the Ankang police, as the Guardian reports. A local doctor said hospitalizations due to hornet attacks have risen steadily over the years (link in Chinese). Why the uptick? The population of Asian giant hornets (vespa mandarinia), as they’re known, has surged largely because of climate change, says the Shaanxi Provincial Forestry Department (link in Chinese). The average winter temperature in Ankang rose 1.10 ℃ in the span of a few years alone, allowing more hornets to survive the winter. And it’s not just China; rising temperatures are behind the spread of another deadly Chinese hornets species, vespa velutina, in South Korea and Europe. The chief prey of the Chinese hornet? Honeybees. As global warming makes more of the world hospitable to Chinese hornets, more honeybees are dying in the beepocalypse. Areas in Europe where they’re likeliest to invade “hold among the highest densities of bee-hives in Europe,” according to recent research. Here’s a heat map of where Chinese hornets will be able to survive as temperatures rise. ​"Climate change increases the risk of invasion by the Yellow-legged hornet," Barbet-Massin, et al. 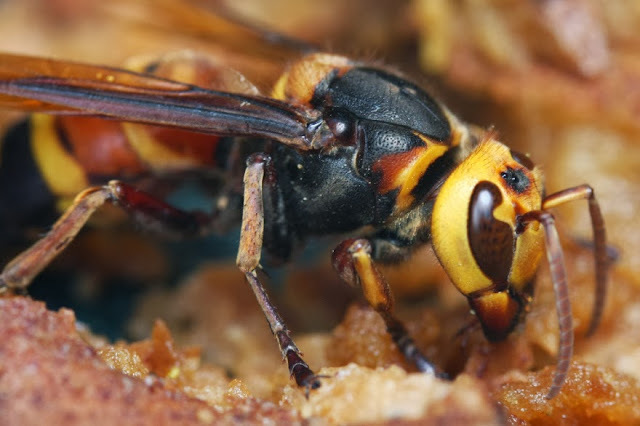 Japanese honey bees have figured out how to fight back, by cooking hornets. After surrounding a hornet in a spherical formation, Japanese honey bees engage their flight muscles, raising their collective temperature beyond what hornets can withstand. European honey bees lack this skill. That’s why bee populations in France, where Chinese hornets arrived via a Chinese pottery shipment in 2005, have already taken a hit. Since then, Chinese hornets have spread at a pace of up to 100 km (62 miles) a year. Within the last three years, they’ve invaded Spain, Portugal and Belgium; soon they’ll arrive in Italy and the UK, says the European Environment Agency. That species hasn’t spread outside of Asia yet, though sightings in the US of giant Asian hornets have been cropping up of late. 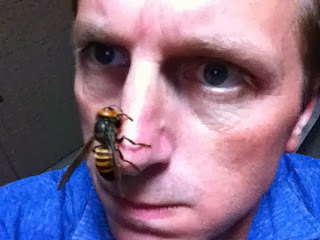 If the Asian hornet spreads in the US, it could be an even bigger threat than the Chinese hornet. They too thrive on killing honey bees. Not only are they five times bigger, but their huge jaws allow them to decapitate bees so quickly that one giant hornet can kill 40 bees a minute. A swarm of fewer than 30 can wipe out a 30,000-strong honeybee colony in just a few hours. The USA is headed for collapse. The only question is when. It would also be a frightening event for the world. SEOUL, South Korea — According to conventional wisdom, North Korea is headed for collapse. The only question is when. The answer: maybe sooner than we might expect. A 342 page report released this month by the RAND Corporation urged Washington DC to prepare for an impending insurrection. There’s little doubt that the world would welcome the demise of this heavily militarized, rights-abusing, outlaw regime. Yet the immediate aftermath could present some very serious challenges — involving China, the US, weapons of mass destruction and the cabal that currently holds power in Pyongyang. So what exactly would happen after the bust? GlobalPost spoke with North Korea experts who laid out three scary scenarios. Experts doubt that the North Korean regime would succumb peacefully. Here’s why: Imagine that while the bulk of North Korea suffers, you’re among the Supreme Leader’s lackeys, kicking back with expensive whiskey, Swiss ski trips, and karaoke parties in your Pyongyang lair. If the nation slides toward chaos, you’ll have a vested interest in protecting the system. Your other choice? Surrender and face trial at The Hague for crimes against humanity. The United Nations, after all, isn’t happy about those slave labor camps. With nothing to lose, the North Korean ruling elite would likely take up arms in a bloody civil war or a coup d’etat. “A military coup by some or all of the armed forces, perhaps causing fissures within the military, seems to me more likely than a popular uprising,” says Michael O’Hanlon, a senior fellow at the Brookings Institution in Washington. A collapse of the Kim Jong Un regime could put highly knowledgeable nuclear weapons scientists in need of a new employer. By most estimates, North Korea has probably mastered the art of making the parts for its nuclear production facilities, according to American experts. The country has successfully tested three devices since 2006. If anarchy erupts, underpaid scientists and civil servants could profit by smuggling components to the black market. After all, the collapse of the Soviet Union created a similar ripple, with unemployed scientists selling off their expertise. The likely destination would be governments as well as non-state actors in the Middle East, Lankov said. And the scientists wouldn’t have to work hard to cultivate new clients. Already, American intelligence officials have indicated that North Korea has cooperated with Iran and Syria on nuclear weapons. North Korea suffered a famine in the mid-1990s that left some 1 million people dead. While conditions are better today, in parts of the countryside many North Koreans are malnourished and lack access to even rudimentary health care. Currently people with rice on the table rely on a fragile state distribution system, supplemented with food from the black market. Rice prices and North Korea’s currency can be volatile, a potentially devastating combination. A government collapse would likely take the distribution system with it, and the nation’s humanitarian crisis would only get worse, RAND reports. Food would be hoarded and looted, stoking shortages. A North Korean collapse would likely be terrifying. As RAND suggests, it would be prudent to prepare for crisis. But it’s not entirely clear that Kim Jong Un won’t be ruling many years into the future. 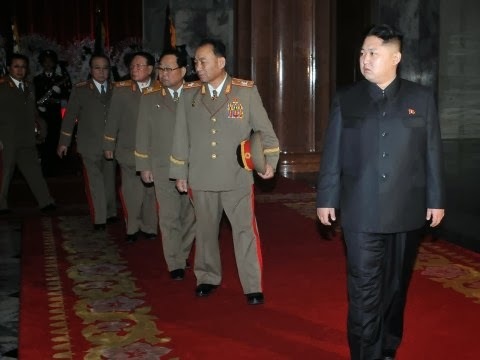 In fact, just after the RAND report was published, the World Bank declared that North Korea’s government has become more stable in recent years. In fact, for two decades, intelligence agencies have forecasts the Kim’s demise. In 1997, a CIA panel concluded North Korea would fall apart in five years. In 2004, some onlookers speculated an explosion that ripped through a train station and was an assassination attempt against Kim Jong Un; the blast was caused by a chemical leak, intelligence officials later reported. O’Hanlon, at The Brookings Institution, thinks the regime’s durability owes to its iron-fisted rule, and its ability to suppress information and mobilization. With enigmatic practices, he says, it’s difficult to divine the end of the garrison state, even if collapse might be inevitable. The reality of the three government crises (budget and debt ceiling in the US, governmental collapse in Italy) is hitting home. And markets are finally feeling it. Over the weekend, the US Congress failed to agree on a budget, and the Italian government lurched towards collapse, as Berlusconi's party said it was withdrawing from the coalition. 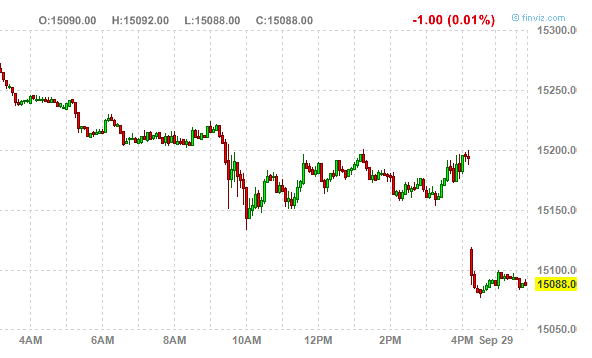 US futures are sharply in the red with Dow futures off 100 points. Meanwhile, Japan is really taking it on the chin. 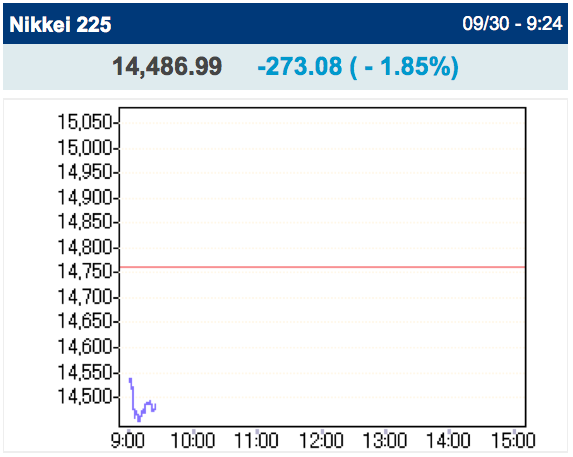 The Nikkei is off nearly 2%. 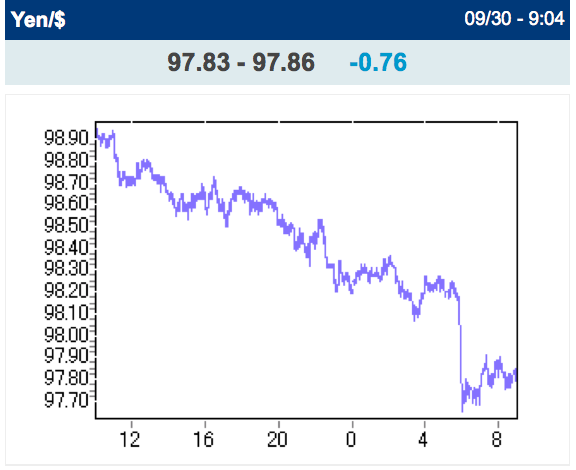 And dollar-yen is back below 98, as the yen surges thanks to its role as a safe-haven. For more on what's going on this weekend, see here. The situation in Italy appears to be going from bad to worse. With a confidence vote pending for Tuesday as the government dissolves into chaos for the umpteenth time, and following the resignation of the CEO of one of Italy's largest non-financial corporations (Telecom Italia), the largest bank (by assets) in Italy - Intesa SanPaolo has announced - effective immediately - the resignation of its CEO and replacement with Carlo Messina. According to sources, the now former CEO had lost the confidence of shareholders (which is odd given the bank's stock is near 2-year highs). 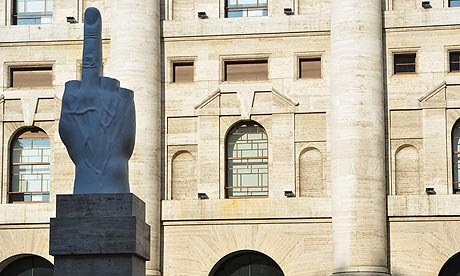 We can't help but wonder Ayn Rand-like at the devolution of the ruling class in Italy and what happens next (in light of the crumbling manufacturing and production data). Italy’s Stability Program targets a 5%-6% primary budget surplus, and 3% nominal GDP growth. Both strike JPMorgan's Michael Cembalest as unrealistic in the context of post-crisis Italy. Italy ran a 6% surplus for a brief moment in the 1990’s but it didn’t last, as it was the result of a prior devaluation helping growth, some asset sales and some tax increases. Only asset sales seem feasible in Italy right now, if anything. Go back to sleep folks!